As Tony said in his review on Tuesday, we both mysteriously came down with something nasty. 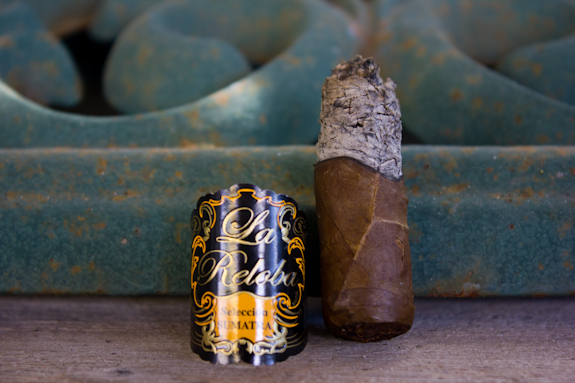 I’m not back to 100% quite yet but I couldn’t let down our awesome readers so here I come today with a review of the La Reloba Seleccion Sumatra from My Father Cigars. 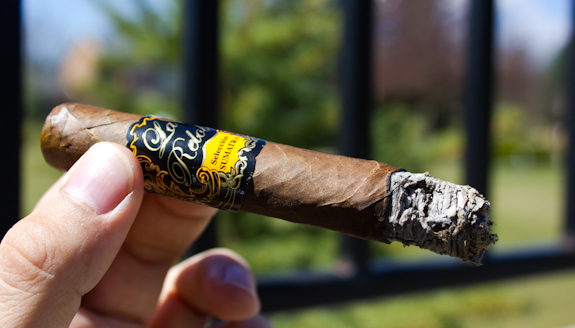 Now I’m sure a lot of you are familiar with the My Father Cigars brand, they are synonymous with awesome cigars. 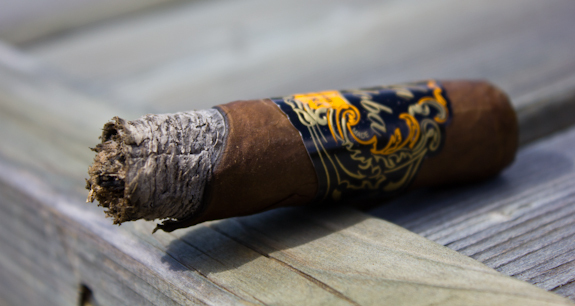 Jaime Garcia decided a long while ago to create a more wallet friendly line to add to the My Father Cigars inventory, and this is how the La Reloba line was born. 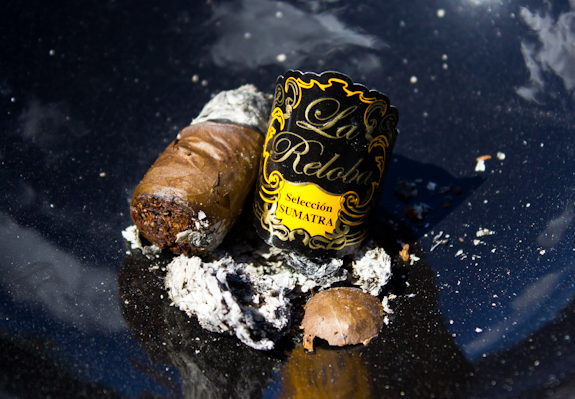 Just like most brands from the My Father lines, the La Reloba is a Nicaraguan puro made with high quality and aged tobacco leafs from their various farms. 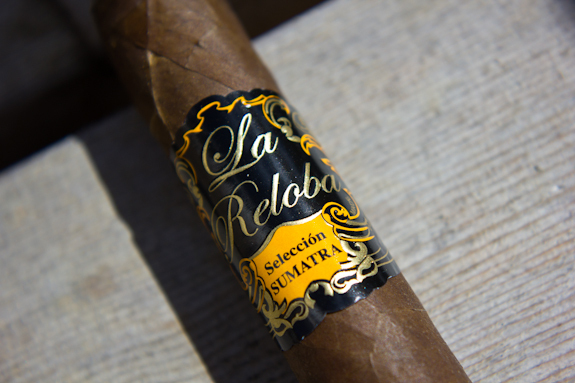 There are 3 wrappers offered in the La Reloba line which are Seleccion Sumatra, Seleccion Habano and Seleccion Mexico(Maduro). I also found some inklings online about a limited release Seleccion Oscura although I only can find them at one online source and they aren’t listed on the My Father Cigars website. 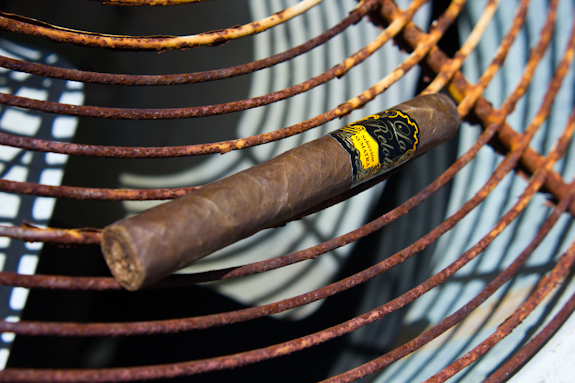 In the line of La Reloba we have 4 sizes which include the Corona, Robusto, Toro and Torpedo. 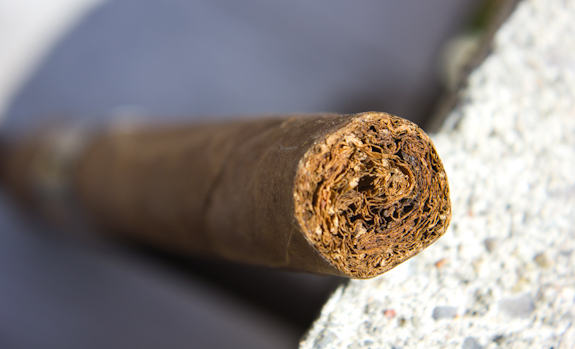 Today’s cigar up for review is the Corona vitola which I’ve had the chance to smoke a few of. I had the Habano on hand but I haven’t had as many of them plus I decided to settle on a slightly milder blend since I was lighting this up just after lunch time. •	Great burn continued right to the end, nothing much else to report here! •	Also realized the wind blew most of the ash right out of the ashtray! This isn’t my first foray into the La Reloba series and it definitely won’t be my last. The La Reloba Seleccion Sumatra was a tasty treat that had a nice array of flavors to keep me interested the whole way through. It wasn’t as complex or dimensional as some of the other My Father Cigars but it was definitely enjoyable and fits nicely into their inventory. The burn was also spot on the whole way through which is always a big plus for me. 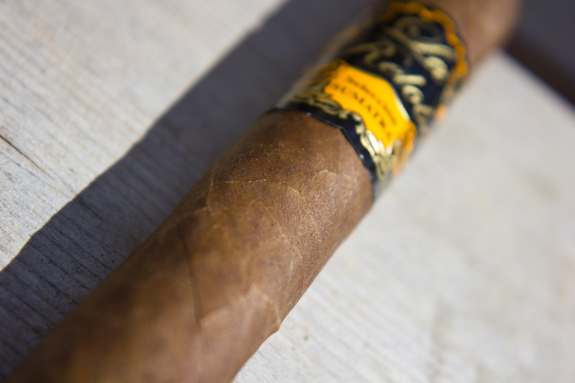 The price is also very attractive for a quality cigar from the My Father Factory. I also have to admit I was surprised to see such a great burn and draw from this cigar when my initial inspection led to some concerns. Can’t complain at all about this cigar and I definitely will be picking up more in the future! Next to the Scottish brewery of Innis & Gunn that I paired last week, another of my favorite breweries is none other than Canada’s own Unibroue. This place is based out of Quebec and has a HUGE inventory of brews with a ton of different and unique beers that are a rare find. Today’s brew is called Raftman and I only found a case of these while actually in Quebec, I’ve never seen it in any other stores so far. Now this brew was very interesting as the label says it is brewed with Whisky Malts so I just had to pick it up and give it a try. Well I’m glad I did cause this is one tasty brew and yet again another winner from Unibroue. It’s a fairly light amber beer but it packs in a ton of flavor. The whisky malts are very obvious as they give a classic touch of whisky, as if you just put a little whisky inside a good beer. Along with that it also has a delicious malty finish and some notes of sweetness as well. 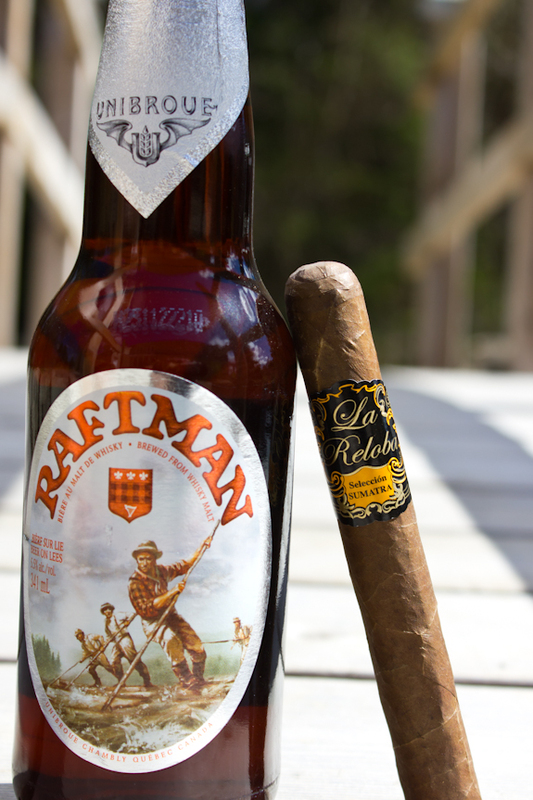 I found that it paired very well with the La Reloba Seleccion Sumatra as it added some flavors to the whole experience without either the cigar or the beer being overbearing on each other. Any medium bodied brew would go well here such as an Amber lager or even a dark ale, a nice coffee would definitely pair nicely here too. Didn’t see that one in my local Beer Store although they had four different beers of the Unibroue…looking forward to having a couple this weekend. 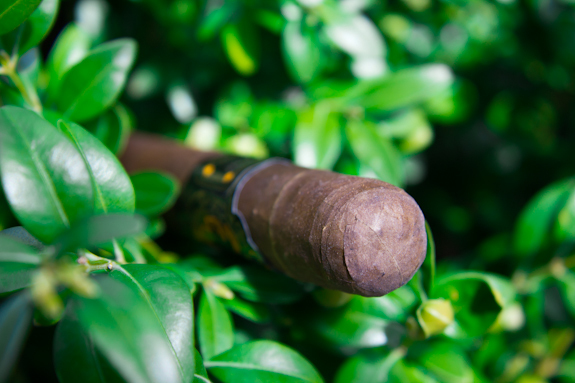 Will keep my eyes peeled for that one…if you were a nice guy you would save me one to try at our next cigar visit. Silly Paul! That’s the one I gave you when you came over! Remember I mentioned that I grabbed it when I was out in Ottawa? I don’t think they sell it in Ontario, at least not that I’ve seen yet. If you do find it though make sure to let me know! Glad you’re feeling better, Daniel. I had one of these in the toro size a while back. I didn’t think too much of it, but maybe that was because I knew I overpaid for it. I’ll have to give it another shot. I’ve been wanting to try the Mexico, as well. Nice recovery regimen you have there. Cigars and beer sounds good to me. I haven’t seen this ale around here. Was it smoky at all? Thank Jeff! I have to say that if you pay too much for these I can see how you might overlook them as being just ok, but when you can get them for $4 or less they really shine in the value department. Sounds like an excellent stick for just $4.00 – I’ll have to look and see if I can find a good deal on these as well.